New Comic Book Day is here! Buffy the Vampire Slayer kick soff s highly anticipated new season. 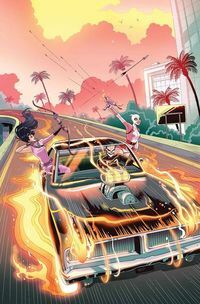 Along with the super fun adventures of Moon Girl and Devil Dinosaur, and Hellboy gets a new mission. Every week we review a select few NCBD books. Check out our other blog articles so see our thoughts on other books. Be sure to comment or share our post on Facebook or Twitter if you like our articles! She’s the smartest girl in the room…well, the world actually. 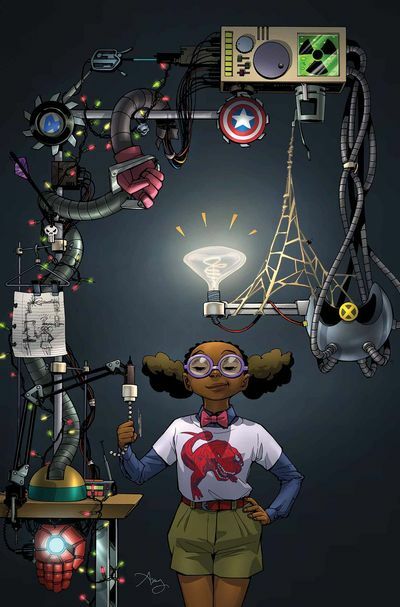 Lunella Lafayette AKA Moon Girl is a nine-year-old prodigy who pals around with a bright red time-displaced Tyranosaurus Rex named Devil Dinosaur. Moon Girl and Devil Dinosaur #13 kicks off a new story arc “The Smartest There Is,” and serves as a great entry point for new readers. The thing I like most about this series is that it’s just plain fun. 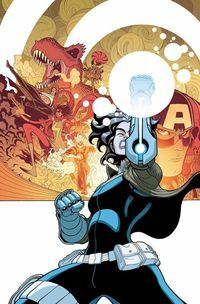 Brandon Montclare and Amy Reeder are adept at writing for kids and adults, keeping the language easy, but expertly incorporating nods to Marvel’s history. 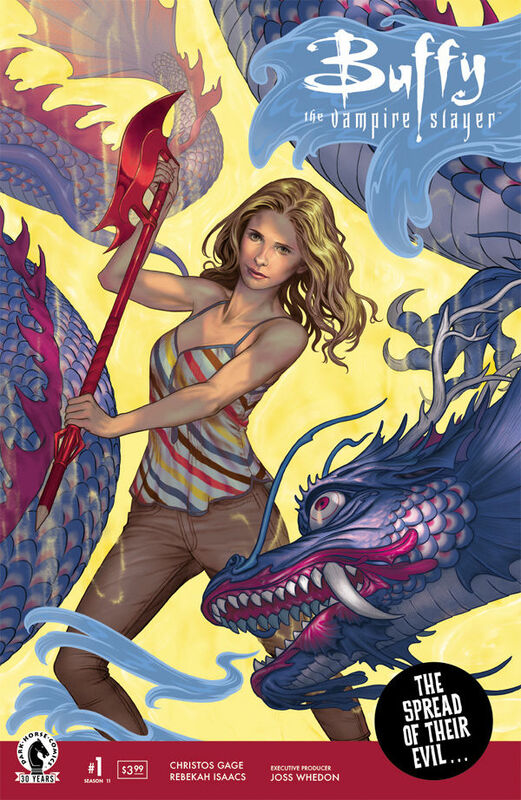 For those new to the series, yes, Buffy The Vampire Slayer has lived on in the form of a comic series for 3 seasons after it’s television ending. Now with Season 11 being the perfect jumping on point for new readers. After the end of their last crisis, Buffy, and vampire boyfriend Spike, are now supernatural crime consultants for the San Francisco police department. 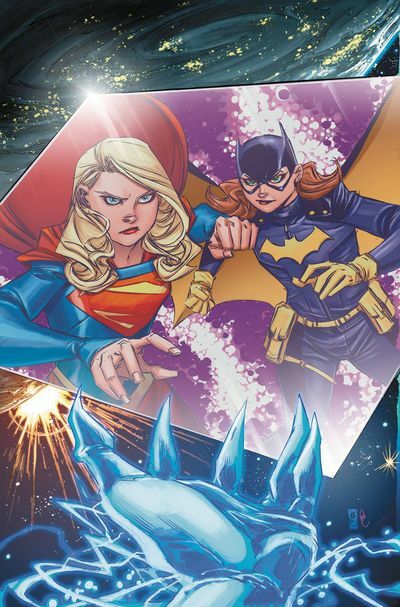 The bulk of the issue is reintroducing the reader to a lot of familiar faces. 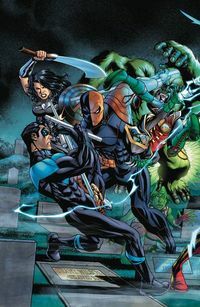 Giving exposition hinting at how that character has changed over the course of the last few seasons, making brand new readers to the comic series welcomed. Which is great, because before you know it, the action is turned up to…11 (get it?). Christos Gage has been working with these characters since Season 9 (originally on Angel & Faith before taking over the main book). He writes the cast with the same tone fans have come to rely on. Rebekah Isaacs, captures the characters likenesses perfectly. Making it feel like we’re once again seeing some old, familiar friends. JUMP BACK ON THE BAND WAGON SEASON 11 IS HERE! Since the end of Hellboy, it only makes sense to go backwards. It all started with Hellboy and the B.P.R.D. : 1952. The first mission Hellboy ever went on. Continuing through the years with 1953 and 1954. This is the start of the second mission for 1954 (that we’re shown). Involving a haunted family by a firey monkey. Having not read a Hellboy since the end of Hellboy in Hell. After reading The Unreasoning Beast #1, I’m back in the fold. As this is Mike Mignola’s baby, I didn’t expect anything less than a stellar story. Especially with Chris Roberson co-writing. Artist Patrick Reynolds’ style is immediately recognizable and works so well within this world. 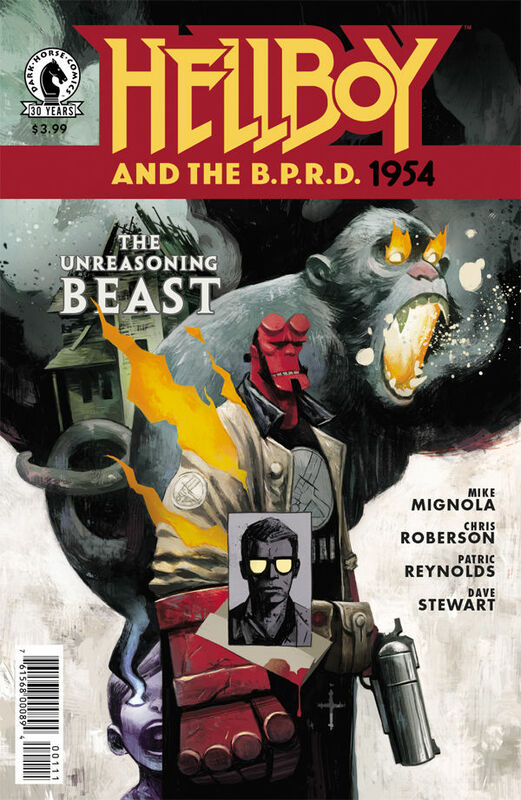 GET HAUNTED BY HELLBOY ONCE AGAIN!